No one wants to draw massive conclusions through the first two weeks of the season. We should still be focused on analyzing matchups first and foremost. Nevertheless, some interesting process trends stand out. 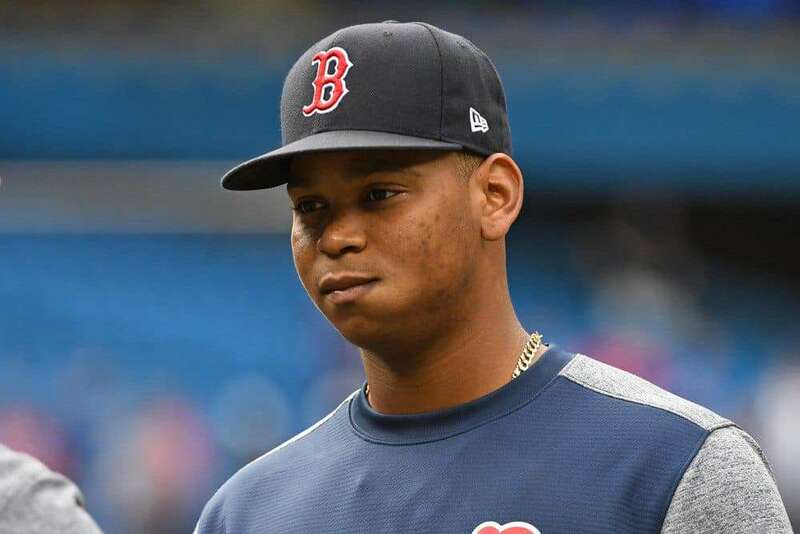 We’ll kick off this week with a former top 50 prospect in Rafael Devers, whose early-career results haven’t quite met expectations. The regular season is upon us! Don’t worry, there’s still time to add that “one more league!” You can start a league at Fantrax.com 364 days a year. It feels as though Devers has been around forever at this point. It’d be easy to look at his career .256/.314/.442 line and conclude that he’s not quite the special offensive player he was supposed to be. Yet he’ll play all of 2019 as a 22-year-old. He’s far from a finished product. Despite Devers’ polished bat-to-ball skills and obvious raw power, he’s not been a particularly selective hitter. Notwithstanding how easy Juan Soto made things look, hitters in their early-20’s typically need improvement on their pitch selection. To that end, Devers’ early-season trends are encouraging. His chase rate is hovering right around average; at the same time, he has continued to be aggressive within the strike zone. Better pitch selection has, predictably, translated into more contact. His seven-percentage point uptick in contact rate sits top 15 leaguewide. Devers hasn’t hit for any power so far with a significantly elevated ground-ball rate. The plate discipline metrics become meaningful well before the batted ball data, though, so this is still an encouraging start for Devers owners. 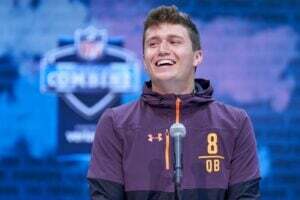 The projections still love him, scouts have always loved him, and slowly but surely, he may be moving toward that awaited breakout. We’ll start with the obvious: Wilmer Flores has not had a good year thus far. He’s hitting .182 and hasn’t gone deep or stolen any bases. He’s a deep leaguer only. 15-team leaguers shouldn’t hastily throw in the towel, though; Flores is showing some signs under the hood of making small adjustments. Flores is among the top ten chase rate improvers in the early going. Like Devers, though, Flores has not sacrificed the chance to attack pitches within the zone to do it. Anyone can become more passive; not everyone can become more disciplined. Flores’ early-season trends have been toward discipline, not passivity. We know Flores will get more opportunity in Arizona than he ever got in Queens. He has never had a problem hitting the ball in the air and now he looks more selective to boot. With the ball showing signs of being juiced yet again, contact hitters who can elevate could very well hit for more power than expected yet again in 2019. Flores’ results are terrible, but some under-the-hood adjustments might pay dividends moving forward. Next week, the game’s best first-inning offense meets two of its worst starting rotations. That’s not entirely true, of course. For one, there’s no reason to think the Rays’ first-inning scoring tear is especially sustainable. Obviously, Boston’s rotation is much better than its collective 8.79 ERA would suggest. Even still, Tampa hitters should be all systems go. The Rays will start next week with three games against the Orioles, whose pitching has been as dreadful as expected, before the defending champs head to St. Petersburg. As the Athletic’s Eno Sarris recently found, Boston’s starting rotation has been victimized by the long ball in the early going, and ‘Chris Sale Velo Watch’ is back for its well-publicized second season. Boston’s pitching staff should bounce back as the season goes along, but they’re not trending well right now. So that’s one pitching staff projected, as ESPN’s Sam Miller noted preseason, to allow the most runs this decade, and another worst-performing rotation. The ball should be flying all over the Trop next week. Willy Adames, Brandon Lowe, Austin Meadows, Yandy Diaz- let them ride and reap the rewards.